The photograph was first exhibited as showing Vincent at a Van Gogh exhibition in Essen in 1957. Later specialists never questioned the identification and it was reproduced as being of Vincent in thousands of books and articles. Now, that 1957 judgement has been proved wrong. Yves Vasseur, the organiser of the Mons 2015 European Capital of Culture (which included an ambitious Van Gogh exhibition), made the breakthrough discovery. He recently found that Balduin Schwarz, the photographer whose name is printed on the reverse of the image, had moved from Ghent to Brussels, where it was taken, in 1870. Schwarz, who came from Germany, was both a photographer and a painter. Even if Vincent had been among Schwarz’s early customers he would have been 16, and the boy in the photograph appears even younger. 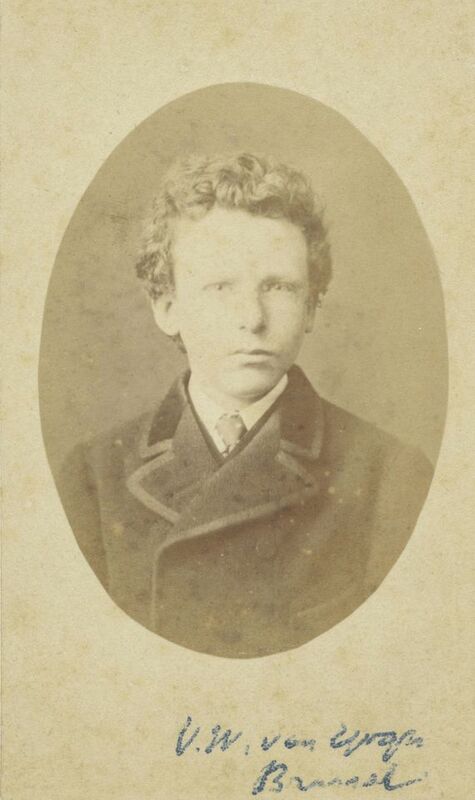 And, as far we know, Vincent never visited Brussels in his youth, whereas Theo worked there as a young trainee at the Goupil gallery—and is known to have had his photograph taken in the city in early 1873, at the age of 15. Teio Meedendorp, a researcher at the Van Gogh Museum who worked jointly with Vasseur, also noted that “the light colour of Theo’s eyes is especially striking in the known photographs of him”. The eyes in the Schwarz image are similar. Of course the two brothers would have had similar appearances, so to be more certain of the identification, the Van Gogh Museum commissioned an analysis by a forensic data specialist, Zeno Geradts, a University of Amsterdam professor. He compared all surviving photographs of the two brothers, including four others of Theo, concluding that there is a “high likelihood” that the Schwarz one represents Theo. This has now been accepted by the museum. 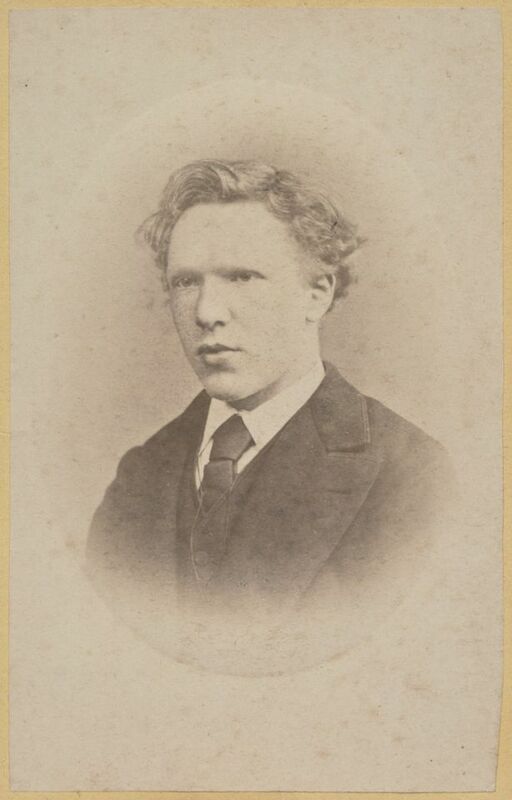 This means that the only surviving portrait photograph of Vincent is of him at the age of 19. This was taken in January 1873, a few months before he embarked on his first job abroad, as an art dealer in London, so he may have wished to give his parents a memento. But it is interesting that both Vincent and Theo were photographed separately in The Hague and Amsterdam at around the same time. Possibly this was for a birthday present for their father, who turned 51 on 8 February 1873. After the age of 19 Vincent never again had a portrait photograph taken. As he later wrote to his sister Wil: “I myself still find photographs frightful and don’t like to have any, especially not of people whom I know and love”. Photographs, he said, become “faded more quickly than we ourselves”—while paintings remain “for many generations”.